Today my early morning PACE student and his mother told me that his reading speed has radically increased. Visagraph testing showed his reading speed changed from 186 words per minute in July to 260-280 wpm as measured in late October. It is not unusual for us to get such concrete results with PACE, a powerful cognitive training program. Because this intensive program trains the brain to focus and make decisions at a fast rate, my students get big changes in attention focus and processing speed. Auditory processing also improves, which means spelling and reading are more accurate. All these improved skills add up to better thinking and more confident learners. We have six more weeks to go in this young man's PACE training and look forward to seeing more improvement in his processing skills. In the past several years, I have used The Listening Program with numerous students who are on the autistic spectrum. We (the parents and I) have been very pleased with the results from using TLP. A good example is Blaire (not her real name), a 3rd grade child, who first entered my office clutching her “blankie” and a stuffed animal. She wanted to sit on her mother’s lap during the first sessions. Blaire read at first grade level and would not speak above a whisper, unless she was angry with a sibling. I recommended TLP Spectrum with Bone Conduction and The Learning Ears Program. Within two months, Blaire was speaking in a soft voice, not whispering, and her reading was improving rapidly, with instruction. One day toward the end of her individualized program, Blaire entered my office chattering and belly-laughing with her little brother. She was making good social and academic progress at school, a much happier child. From March to November of 2012, testing showed that Blaire's skills made strong improvements. These are some of the most notable changes. Her Working Memory improved the equivalent of 3.7 years. Auditory Processing also up 3.7 years. Word Attack skills improved 5.4 years. Blaire's mother reports that she loves school now, has been on the honor roll and even asked to be in the choir. Great progress for a child who would not speak above a whisper! The Listening Program is a key part of my therapeutic practice for students who are on the autistic spectrum or who have other learning issues. I “don’t leave home without it”! Much research shows that diet has a marked effect on the learning abilities of individuals. The lower GI tract (the gut) is also known as "the second brain", because so many neuron connections are there. The brain is dependent on a healthy gut for the proteins and neurotransmitters that are necessary for good cognitive processing. The health of "the second brain" affects mood and attention, as well as the immune system (read: allergies). Yesterday a young mother called to talk about her son's needs. Among learning and attention problems, she mentioned that he also suffers from eczema (often traced to allergy to dairy). Casein in dairy and gluten in wheat, rye and barley, cause intestinal problems in many people. In the rush to meet time demands, today's family may opt for a diet which includes lots of chips, cookies, crackers, pizza and breaded foods. Most contain dairy and wheat. A common daily diet for a student might be: granola with fruit and milk for breakfast, a sandwich or cheese pizza for lunch at school, snacks in the afternoon, a breaded protein, a vegetable and rolls for dinner and dessert (ice cream?). When it's time to do homework (and/or complete the work he didn't finish at school), he drags his feet or pitches a fit, requiring twice the amount of time that these tasks should take. No one is happy! And none realize that the child's "healthy diet" could be a major cause. "From my learning and understanding about the link between gluten and casein and the effects with some people with autism is that, the peptides produced by gluten and casein should normally convert to amino acids and in some people don't. The peptides stimulate Glutamate which causes inflammation and the 'firing' between the cells in the brain and over-sensitivities to some of the senses. Glutathinone is the chemical that should inhibit the 'firing' of the neurotransmitters and help keep the balance, but this does not happen in some cases and their mind/body becomes over excited. By avoiding or reducing gluten and casein in the diet with some autistic people sensitive to wheat and dairy, it can help reduce the over-sensitivities and help keep their system calm. I have seen a difference when wheat and dairy are excluded from the diet. Also in reduced bowel movements too, from being uncontrollable and soiling." For this reason, I frequently suggest to parents of my incoming students to do a two week trial of no dairy/no gluten, and to look for and record changes in the student. Then add one food back at a time, carefully watching the response. In some students, ADHD behaviors improve and the student can settle down to learning. Sure hope this is helpful! A 4 Million Dollar Teacher? 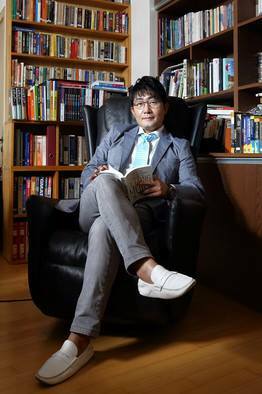 A very interesting Wall Street Journal article tells of the Mr. Kim Ki-hoon, who is described as "a rock star teacher". Mr. Kim earns upward of $4 million a year as a private tutor, being in high demand for his lectures. The huge tutoring industry in South Korea has resulted in a dramatically improved education system over the past several decades. Almost 75% of students are enrolled in after school classes, with a resulting 93% high school graduation rate in South Korea (U.S. grad rate is 77%). SK 15-year-olds rank Number 2 in the world in reading, and 47% of eighth grade students are ranked advanced, compared to 7% of U.S students. South Korean learning centers are called "hagwons". Hagwon directors reward teachers according to performance, number of students signing up for their classes, and student satisfaction surveys. Key questions in student surveys are: "How passionate is the teacher?" and "How well-prepared is the teacher?" As noted in this article, teaching well is hard work (Mr. Kim puts in 60 hours a week). Teachers put in long hours, and the most productive teachers should be rewarded. Learning/tutoring centers proliferate here in the U.S. and may take notice of the South Korean educational phenomenon in academic tutoring. However, real change for dyslexia or other learning problems depends on tailor-made one-to-one instruction and the parents' supportive engagement in the process. As a private teacher/therapist myself, I see the reading and cognitive skills of my students improve and confidence increase. When the student gains the needed brain (processing) skills, academic work becomes easier and makes sense to the him or her. Then motivation grows, and grades improve. Many of my students cannot comprehend what they read. Yesterday I ran across an article that could be so helpful for parents, I decided to post an excerpt here. The website is goodsensorylearning.com (a good site to explore for parents or teachers). The old saying - If you don't use it you lose it - often describes the cognitive setbacks that many students experience over the summer months. Exercising children's brains with engaging and fun activities is a must. Here are 5 strategies you can use this summer to help your little ones sharpen and strengthen their skills. When watching TV, discuss the commercials. See if they can figure out what product each commercial is promoting and see if they can uncover any inferences or hidden messages. Play with anagrams - Write down a word that has at least 6 letters. In 5 minutes, see how many new words you can create by scrambling the letters. Play catch with a football, baseball or beach ball. When you first toss the ball, call out a main idea such as days of the Week. When your child catches the ball, they have to say one of the days of the week. When they toss it back to you, you say another day of the week. Players can only say each detail once. If a detail is repeated, the player can't think of another detail, or there are no more detail options, that player loses the round. Keep score and play to 10. Other main ideas could be vegetables, types of dogs, forms of transportation, shapes, presidents and so on. Read a short passage aloud to your child. Before you read it, explain that their job is to visualize or create a mental image of what you read to them in their mind. Once you have finished the passage, give them a blank piece of paper. Ask them to draw an image of what they saw.